examples of this North American-exclusive roadster, and each one was already spoken for before the company even announced its existence to we the common masses. 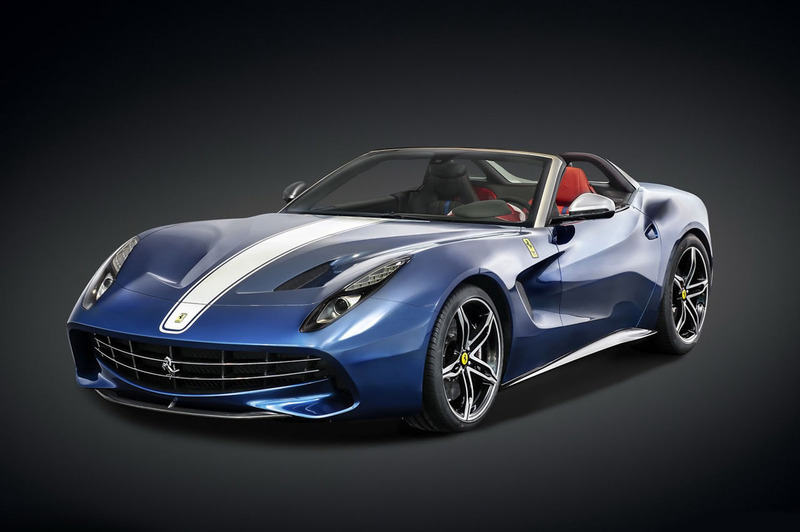 Based on the already exclusive F12 Berlinetta coupe, the F60 America drop-top was created and named in commemoration of the Italian sports car marque’s 60th anniversary of North American sales, and what a celebration it is. While obviously sharing much with the F12, the F60 America takes on a look all its own, enhanced by a set of flying buttress-styled carbon fibre roll hoops. thin red, white and blue star and stripes down the centre of each sport seat, the passenger’s incidentally dyed black and the driver’s a bright red to match the rest of the cockpit’s surroundings. 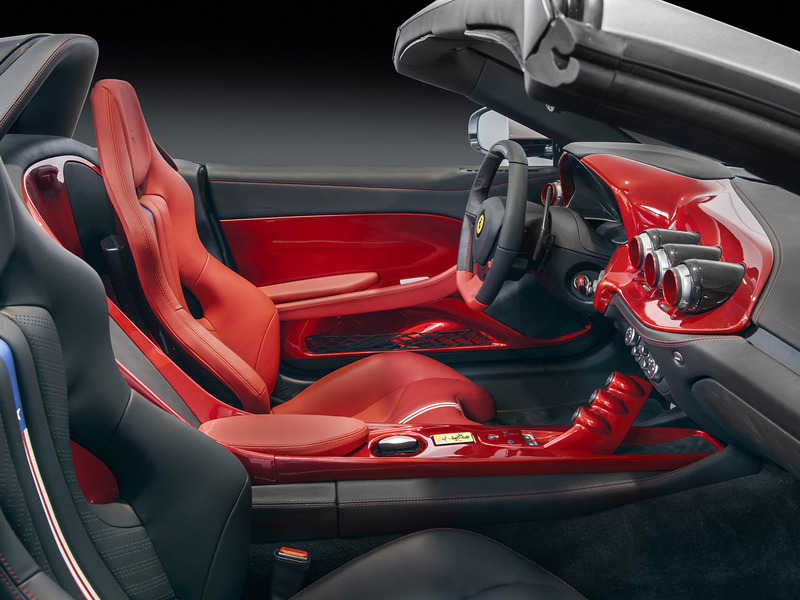 Not intended for everyday yearlong driving anywhere other than California, the F60 doesn’t include a regular folding soft-top or attachable hardtop, but rather Ferrari will include a light fabric top that it claims can be used at speeds up to 120 km/h (75 mph), which of course is a fraction of what the F60 America is capable of. Under the long elegant hood is nothing less than the F12’s 6.3-litre V12 good for 730 horsepower, allowing a sprint to 100 km/h in a mere 3.1 seconds and a theoretical top speed of 340 km/h (210 mph), or at least this is what the F12 is capable of. 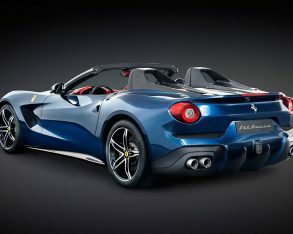 you’re wondering why the F60 isn’t coated in the same Rosso Corsa that adorns most of its other models, the unique blue paint is the livery used by its North American Racing Team (NART), which, while likely not intentional, makes the car clearly reminiscent of a late ’60s, early-’70s Corvette C3 Stingray, especially from the front quarter angle where the flow of the doors into its rear haunches is particularly curvaceous; how fitting for an all-American special edition. 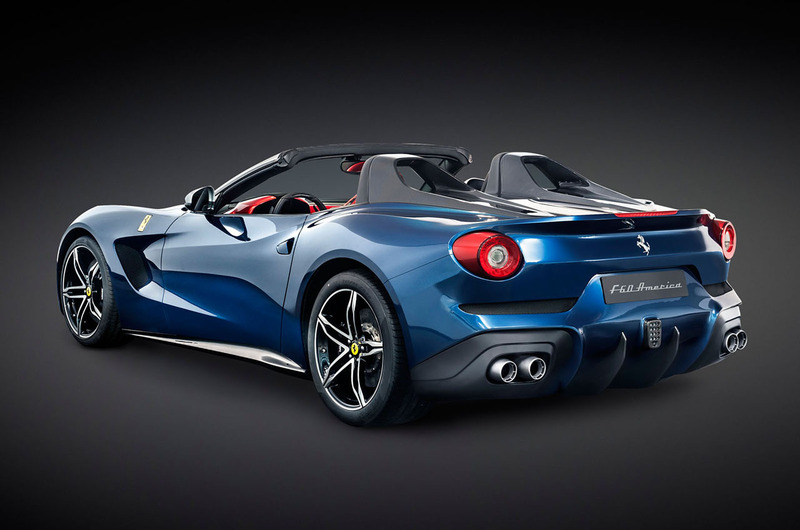 The F60 has another ’60s-era connection too, although this one intended and decidedly more Italian in nature. The decision to go with only 10 roofless copies goes way back to 1967 when North American Ferrari importer Luigi Chinetti had then president and founder Enzo Ferrari produce just 10 Ferrari 275 GTS4 NART Spiders for his select U.S. clientele. 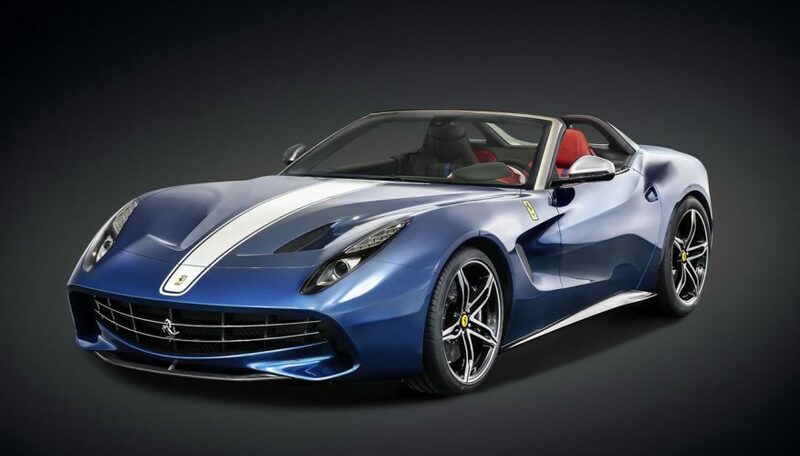 Here’s hoping that Ferrari keeps just one single F60 America around for the global auto show circuit before delivering it to its lucky customer so that myriad tifosi can see the car up close and personal.